As fun as it may sound to build a custom mobile software application from scratch, I would invite you to consider the merits of using a mobile application development tool kit before you start. support for a wide range of Tablet PCs, laptops, Windows CE.NET, Windows Mobile etc. Again the above components and functions need not be developed new for every project. They should be provided pre-developed by your mobile software development tool kit vendor. They are pre-developed, assumed-to-be debugged and tested, added to the tool kit library, improved over time and expanded so all developers can take advantage of them. There is no value added by your internal software development team building what is already available and market tested for less costs than developing in-house. Many systems integrators and IT consultants have told me they can not profitably run a mobile application practice if they develop custom mobile applications from scratch. They want to configure mobile solutions, not design and program every possible custom scenario. MobileDataforce is the developer of a mobile software development tool kit called PointSync. Many inspection services companies work in mobile and rugged environments. They invest time and money into traveling to the point of work. The more time traveling, the less time providing inspection services. In this blog article we will discuss some strategies for saving time, reducing expenses and providing more services using mobile handheld PDA and mobile software technologies. Many inspections are follow-up inspections or reoccurring inspections on a schedule. In these kinds of inspections the inspector must reference previous inspection data. If the previous inspections were conducted on paper, then the inspector must acquire a copy of these previous inspections to take with them on the next visit. This often requires extra costs associated with driving time, gas and missed opportunity costs (less time inspecting and getting paid). A simple database synchronization with a handheld PDA, laptop or Tablet PC from the field could have completed most of the above tasks in seconds. The inefficiencies listed above are not uncommon. Inspection software applications can be developed that synchronize directly to the central database. Queries on past inspections can quickly provide historic inspection data at the point of work without all the extra expense of driving to the office and manually searching through file cabinets. The time re-typing inspection data can be eliminated as well. In these times of economic challenges, companies are looking for ways to do more with less. Mobile solutions can provide many cost savings and allow companies to conduct more services with less resources. For more information on mobile inspection solutions please contact MobileDataforce. Trimble has just announced their new Juno SC handheld. This device is meant for people that work out of doors and need a pocket sized and industrial strength GPS unit that uses a Microsoft Windows Mobile OS. The value of using a Windows Mobile OS is that many mobile software development tools like PointSync from MobileDataforce uses Windows Mobile. You can develop and customize nearly any kind of mobile software application you can image to run on this device. 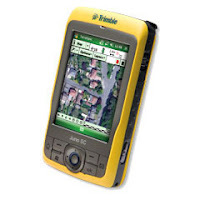 "The Juno series handhelds are the ideal solution for GIS-enabled organizations that require high productivity from their mobile field workforce," said Peter Large, general manager of Trimble's Mapping and GIS Division. The keyboard on the iPhone is clever, but Apple makes another very strange choice to limit the email keyboard to portrait view only. The Internet browser permits a landscaped keyboard which is very nice, but the keyboard in the email only allows portrait...this view of the keyboard is too small for fast and effective 2 fingered typing. Why would they limit the keyboard in the very application where fast typing is most required? The landscape view of an Internet browser is too small for viewing. It is nice that they try to show you a complete view of a full sized website, but it is too small for real use. You continue to find yourself enlarging the view and scrolling all around the website to view it. Not convenient or enjoyable. I spent some time reviewing all of the applications available on iTunes for the iPhone in December 2008. There were many interesting applications, but there was an obvious lack of real business applications. I consider real business applications as running relational databases and synchronizing or communicating directly with recognized business software applications like SAP. Where are the applications that extend workflows from ERPs into the field? The lack of real business applications again points to the challenging environment of mobile software. The market is so fragmented that mobile users will find it hard to find a mobile version of their exact ERP or Field Service application. This means companies will need to develop their own customized version, use an experienced mobile software development company or use a mobile software development tool kit from a company like MobileDataforce. Why is it hard to find a mobile version of your office software? Software companies need to find markets where they can build one software application and then sell it many times to make a profit. In IT environments where customized database applications and customized workflows are the norm, mobile software companies are not able to pre-build mobile applications. 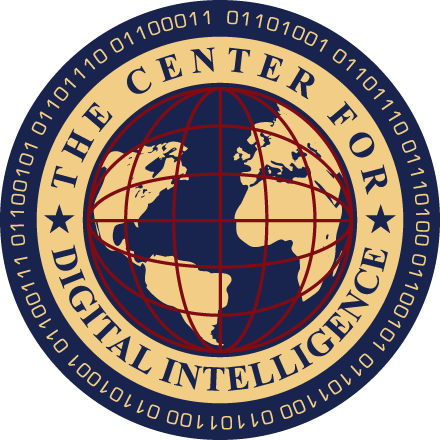 They don't know how you want the application to function or what data you need in the field. This must be configured on a customized basis in most companies. Therefore, companies need to work with a mobile software company that can offer a cost effective, very flexible mobile software toolkit so you can take advantage of their tools, synchronizing technologies and application development environments to keep the development costs reasonable. 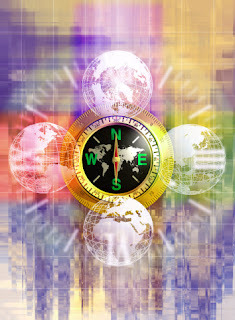 Some of the most important and valuable components of SAP's ERPs are the best practices business processes and work flows that are developed in them. These are automated processes that ensure that the business is completed in the appropriate way each time. These work flows and business processes have evolved and improved over the past couple of decades with much research, trial and error. Now that they are highly developed, wouldn't it be a shame to lose the benefit of them when applications go mobile and are used on handheld PDAs and smartphones? Business process automation is even more necessary when workers are mobile and working away from management oversight. How, when and why should information be collected from the remote work site? How should you handle the need to purchase replacement parts for the equipment you are repairing 50 miles from the office? What paper work do you need to fill out? How do you hire temporary labor at a remote work site? What paper work needs filled out and what information needs sent back to the office so paychecks can be processed? The answers and processes for these kinds of issues are usually pre-determined and pre-configured in the ERP system, but not often on the mobile software that runs on your smartphone or handheld PDA. When considering the use of mobile software applications, ask your SAP consultant or mobile software vendor how they can help mobile workers by extending business process automation to mobile handhelds and smartphones. SAP, the world's third largest software company, has defined and standardized many business processes. These business processes are used to ensure repeatable and quality business practices inside the four walls of the organization. The challenge - these business processes are often lost once a worker becomes mobile. Mobile workers are often disconnected from their company's ERP once they are on the road. Many have Blackberrys or other handheld PDAs or smartphones that allow for a quick ERP query, email or message, but they rarely extend the work flow to a mobile environment. When a company pays tens of millions of dollars for an ERP like SAP or Oracle, and 40% of their work force is mobile - someone ought to be thinking about extending a work flow out to a mobile device. Blackberrys don't have the robust operating system that Window Mobile does so it may be more of a challenge for Blackberry users. However, companies like MobileDataforce specialize in creating mobile applications that extend your ERP's work flow into the mobile world.